Libresse been a good friend of mine since years, can't even remember when was the first time I blogged about it. Oh time flies so fast, I think they became a part of my life, just like I'm growing up with them. Or maybe they are growing with me too! Just last month, they introduced two new products - Libresse® Maxi Night Secure and Libresse® Longer and Wider CurveFitTM Liner, perfectly carter to different woman needs. As you know, leakage is one of the biggest problems most girls have (almost 1 out of 5 girls face leakage problems!). Libresse improved the body contour design for all range of products to enhance the absorption, by introducing the newly improved Deep Flow Channels (DFC)™, which incorporates a more compressed area at the back to keep fluid away from the skin for better dryness and new wider core for greater absorption. Unique and innovative, the enhanced features prevent side leakages and promise the most comfortable fit from day to night! Designed to follow the natural shape and curves of a woman’s body. Its soft and pliable middle, wider front as well as a longer 17.5cm length helps keep you comfortable all day with the right fit that stays in place every time. Libresse® products are designed anatomically to fit the body with its patented technology and trademarked design – Secure Fit™ and the newly improved Deep Flow Channels (DFC)™. Both features work hand-in-hand to achieve Libresse’s concept of ‘Absorption is Nothing Without Fit’. A registered trademark of SCA Hygiene, Secure Fit™ features a wider front to keep pads securely in place, a narrow neck and a split design at the rear to fit the delicate contours of your body. 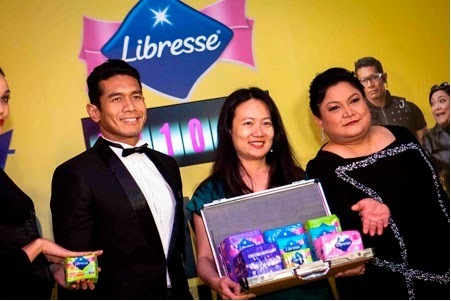 Not forgetting, Libresse® sanitary pads are easy to wash before disposal. 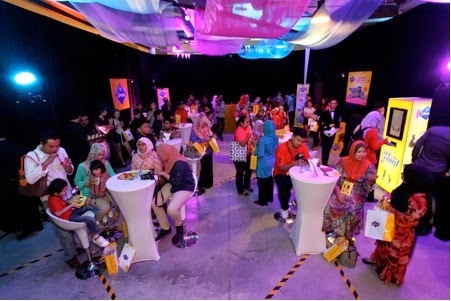 In conjunction with the release of Libresse® Maxi Night Secure and Libresse® Longer and Wider CurveFitTM Liner, LIBRESSE® THE HUNT were organised and the event kick-started on 7 October 2014 with a series of teaser and clues which were release via www.thehunt.my for the curious public to find a missing briefcase. The Top 8 Secret Agent! The afternoon was also filled with interesting activities and fun games, hosted by the two awesome celebrity. The media were also invited to witness the unveiling of the new improved and enhanced product. 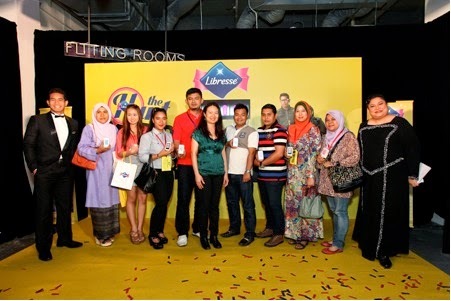 I'm really glad that Libresse is always improving and being innovative to consumers, which is why I am always with them. The new products are available at most hypermarkets, supermarkets, convenient stores, pharmacies, mini markets and provision shops throughout Malaysia. Libresse® Unscented range are retailed from RM2.95 to RM14.90 whilst the Odor Control with Green Tea range between RM3.30 to RM15.90.